“All Purpose Real Estate. One Source.” is the slogan of McColly Real Estate and the phrase couldn’t be more true. The company has been the powerhouse in the home sales industry in Northwest Indiana since 1974 and has become a company where all of a buyer’s needs can be met through their experienced brokers and their partners in financing and title processing.  With 24 state-of-the-art offices throughout Northwest Indiana and Illinois with over 465 trained real estate professionals, no matter where you are in the region, you’ll find a McColly agent close by to help make the process go smoothly. And, even if you’re moving out of the area, McColly can help. Whether you’re looking to purchase residential or commercial property, McColly is ready to help make your dream a reality. A close partnership with Community Title Company provides McColly clients with a smooth experience for title and closing services. Community Title is an approved agent of Stewart Title, which is a global leader in the title insurance industry. For three decades, Community Title Company has provided services in Northwest Indiana and Chicagoland. With a main office in Merrillville, the company also operates several area satellite closing offices. “Our dedicated staff, including Attorney Nathan Vis our Underwriting Counsel, understands the needs of buyers, sellers and real estate professionals, and is committed to ensuring a pleasant settlement experience. We maintain state-of-the-art facilities that enable us to deliver fast and courteous title and settlement services at competitive rates,” says Community Title manager, Kathy Shultz. With numerous actions to be taken before a title can be successfully transferred, real estate sales professionals working directly with Community Title on a buyer’s behalf can simplify the process. The buyer is able to eliminate some of the stress by leaving the details to competent professionals within both companies. McColly also maintains a relationship with Diamond Residential Mortgage Company, a well-established resource that works to provide individualized service to buyers with a number of products. In 2017, McColly Companies had 4,728 total transaction sides closed with $846 million-plus in open sales volume. McColly’s investment in its Realtors shows in their professionalism and dedication, resulting from a number of training and support tools available to them, including in-house coaching, online tutorials, continuing education classes, agent websites, personalized apps, free signage and ongoing professional development seminars. The family-owned business has flourished not only in business since starting as a single office in Merrillville, but also in its charitable reach through the McColly Foundation. “The foundation was borne out of the philanthropic spirit of Ron McColly, my father and founder/owner of McColly Realtors Inc., and our family,” says Rhonda McColly-Fleener, McColly Real Estate’s chief operating officer. “It only makes sense that being a family owned and operated company, whose roots have always been in Northwest Indiana, is to give back to our community and support the many organizations that are in our own backyard.’” Over the last four decades, the McColly Foundation has supported more than a dozen regional chambers of commerce, the Crown Point Community Foundation, Methodist Hospitals Foundation, Riverside Hospital Foundation, Cerebral Palsy of Northwest Indiana, Asian-America Medical Society, Forest Ridge Academy, Chesterton Little League, Opportunity Enterprises and others as well as arranging food drives for local pantries, clothing drives for women’s shelters and collections of baby care items for organizations that support families in need. “I’m very proud that each time we announce a McColly Foundation event or drive that our agents and staff rally around it and give 100 percent to make each and every one of our projects a success,” said McColly-Fleener. To locate a McColly office or find a listing of agents, visit mccolly.com. For more information about the McColly School of Real Estate or to register for a course, visit www.mccollyschool.com or contact a Career Counselor at 800-491-2184, ext. 2 for details.